Businesses will look very different in the next 10 years, so the security put in place to protect them needs to change too. New security technology will not only improve your business’ safety, but also your ability to review your security, and analyse any recordings. The rise of the internet changed the face of security technology, and this is only going to continue into the next few years. New security technology: what could it look like? The cloud has been huge for all industries, including security. Being able to store and access information online transformed the industry and it’s customers, quickly shifting to digital CCTV recording, over analogue. SureSight+, one of our latest launches, takes full advantage of the benefits of cloud computing, offering installers and end-users the opportunity to harness cloud security monitoring and IP technology in one solution. The Internet of Things (IoT). Potentially, you could connect everything in your home, or business, with the Internet of Things. 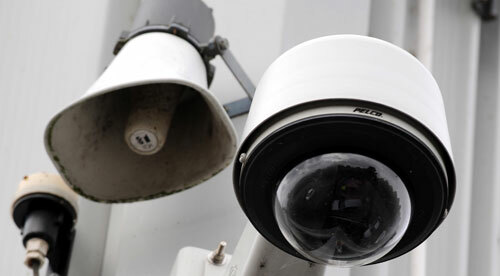 Linking your mobile to your CCTV cameras, you could also link household appliances or manage your business’ infrastructure, simply by connecting it to the internet. The IoT could allow businesses to monitor parts of factories or offices whilst off site, to ensure nothing has been damaged in a break in. There’s plenty to gain from the new technology on the horizon, and here are just a few benefits you could see in the future. Increased security. With the introduction of digital remote monitoring, it has been easier to view footage across a range of devices. The remote monitoring services from Farsight constantly improve too, allowing more effective reporting on alarms, and faster clarification of a break in. Better communication. With more devices available online, it’s easier to connect with your security systems, and contact your installer or remote monitoring provider than ever before. Less likely to be offline. The introduction of Yoursight has meant businesses will be alerted if their internet connectivity goes down for prolonged periods. Find out how Farsight helped BT customers across the UK earlier this year when internet connectivity was lost for a whole afternoon. Whilst increases in technology are mainly positive, there can be some speed bumps along the way. There are some cases of hackers infiltrating cloud-based platforms, but these are regularly halted within minutes, restoring systems to full working order quickly. With security technology being developed all the time, so is the software designed to protect it. Unhackable platforms could be a possibility in the future, but they aren’t a complete pipe dream. Some industries are looking into increasing completely secure passwords, whilst also increasing the importance of off site back ups and disaster recovery units. Discover the latest about remote monitoring security.